Tomorrow is Saturday and brunch is already on my mind. 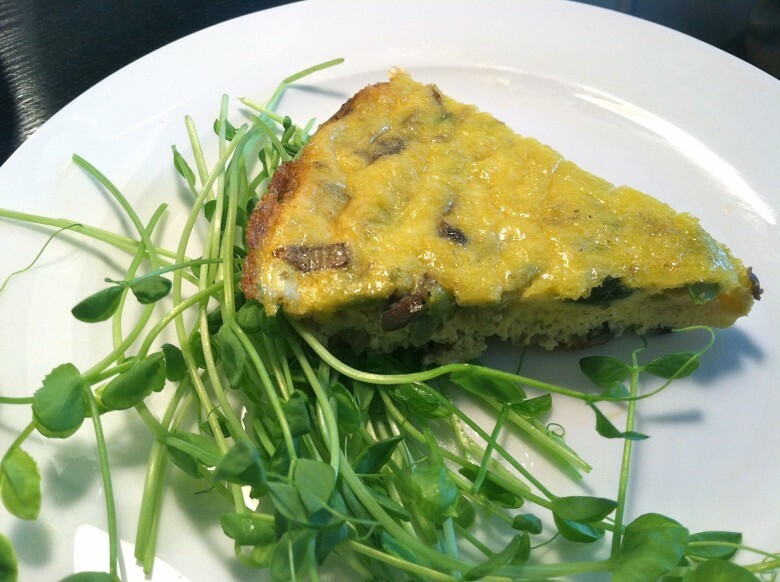 I think I’m going to start the weekend out slow and sweet with a little spring cleaning and a yummy frittata. A frittata is a great way to use up veggie stragglers, aka: the leftover vegetables that didn’t make it in to your weekday meals. 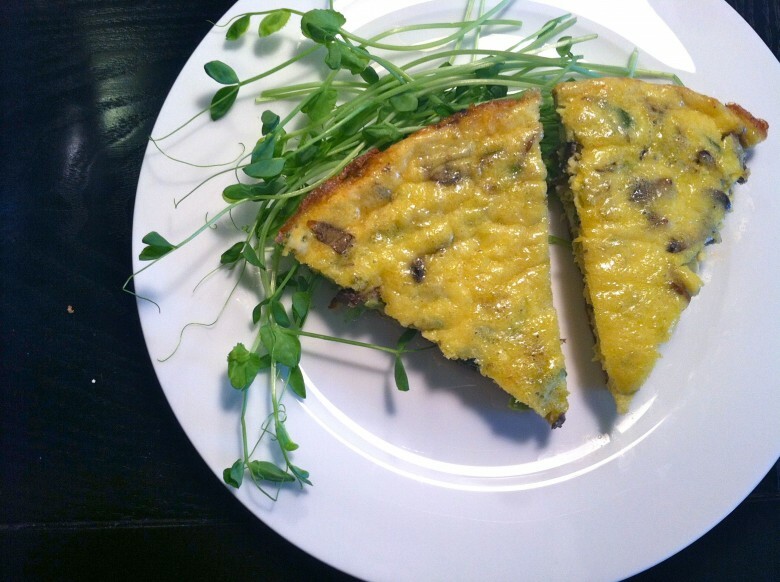 There’s one flavor I love in my frittata’s above all else, and that’s asparagus… so today I will feature an asparagus mushroom and Gruyere frittata. 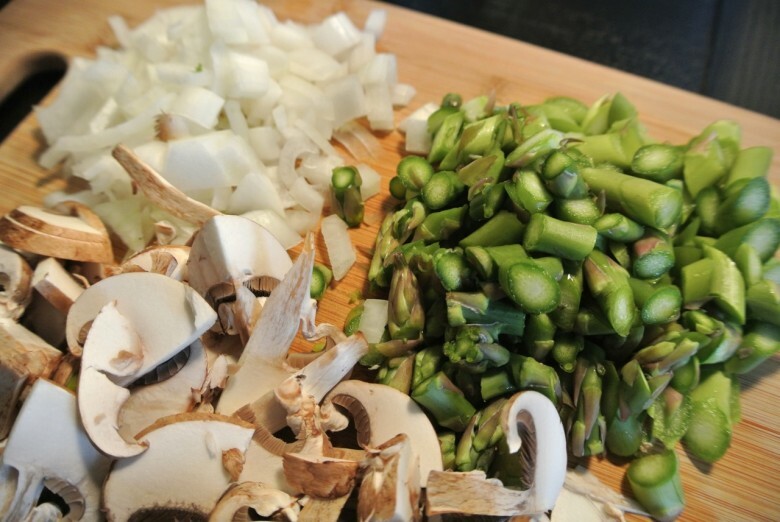 Most of what you need is in the description.. asparagus, mushroom, Gruyere cheese, onion, 6 eggs, 1/8 cup milk, olive oil (or butter), AND just because I’m on an uber-healthy kick, a generous scoop of flax seed powder. Chop the veggies, grate the cheese, and crack the eggs into a large mixing bowl. Add a splash of milk and whisk the eggs together briskly. If you’re using flax powder, add a couple heaping spoonfuls too. I used a medium sized pan for my frittata, and was only preparing for two people, so I used 6 eggs, if using a larger pan or cooking for a family, up the eggs. 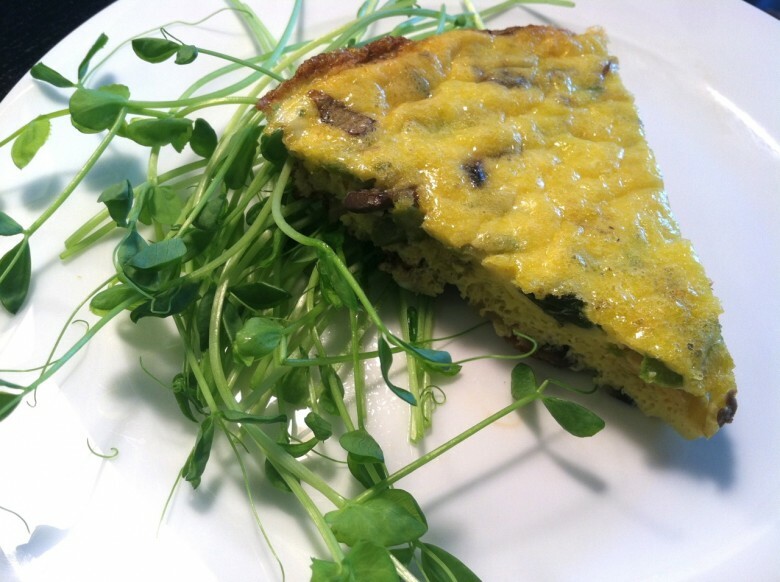 Keep in mind that you want to try to fill the pan significantly with the egg and veggie mixture, so your frittata resembles an egg pie and not an egg pancake. Preheat the oven to 350. Heat oil or butter in the pan over medium high heat and add the onion and asparagus. Saute, stirring frequently until the onion is soft, add the mushrooms, toss a few times then place a lid on the pan and cook covered for about 2 minutes to soften the asparagus. Remove from heat and scoop the veggies into the egg mixture, add 1/2 the grated cheese. Wipe out the pan with a paper towel and return to the stove. Add a little oil (or butter) and return the egg/veggie/cheese mixture to the pan. Spread to even out the veggies and then cook over medium heat for a few minutes to “set” the eggs. When the eggs around the outer rim of the pan look like they are beginning to harden, remove from heat, sprinkle with the remaining cheese and place onto the middle rack and bake for about 15 minutes or until the eggs are cooked through. Remove from oven and let cool for about 5 minutes before cutting and serving. 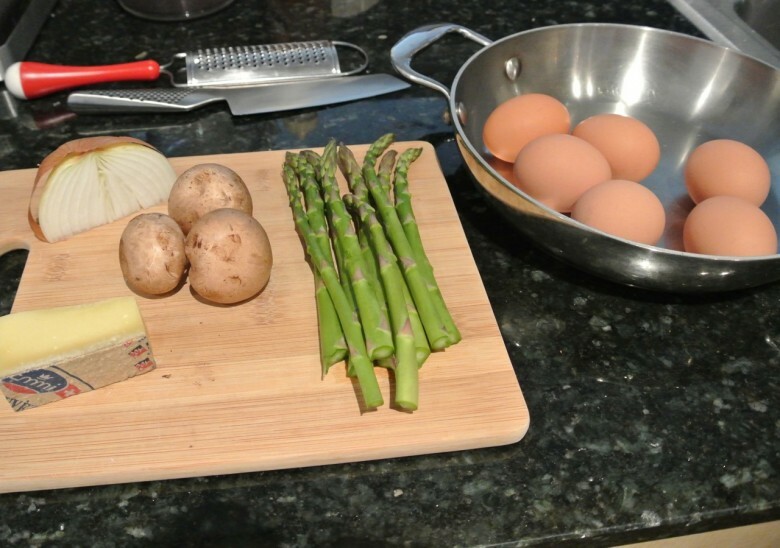 March 30, 2012 | Filed under breakfast, brunch and tagged with asparagus, frittata, Gruyere, mushroom.